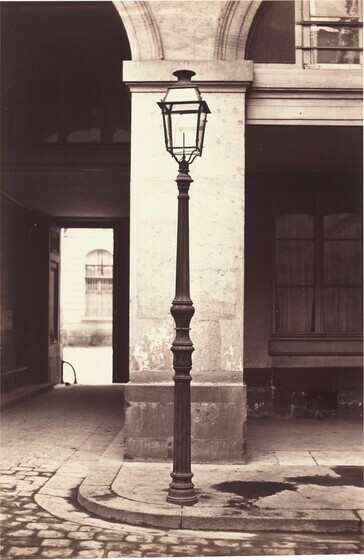 A British polymath equally adept in astronomy, chemistry, Egyptology, physics, and philosophy, Talbot spent years inventing a photographic process that created paper negatives, which were then used to make positive prints—the conceptual basis of nearly all photography until the digital age. 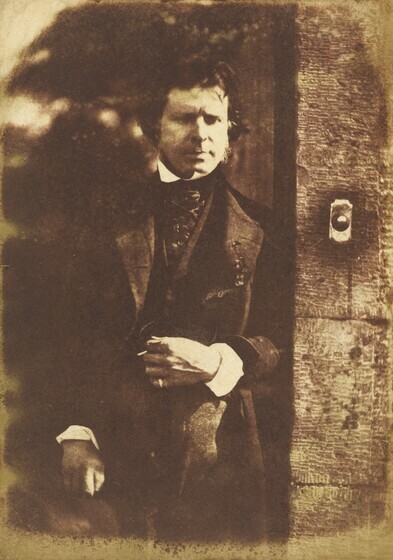 Calotypes, as he came to call them, are softer in effect than daguerreotypes, the other process announced in 1839. 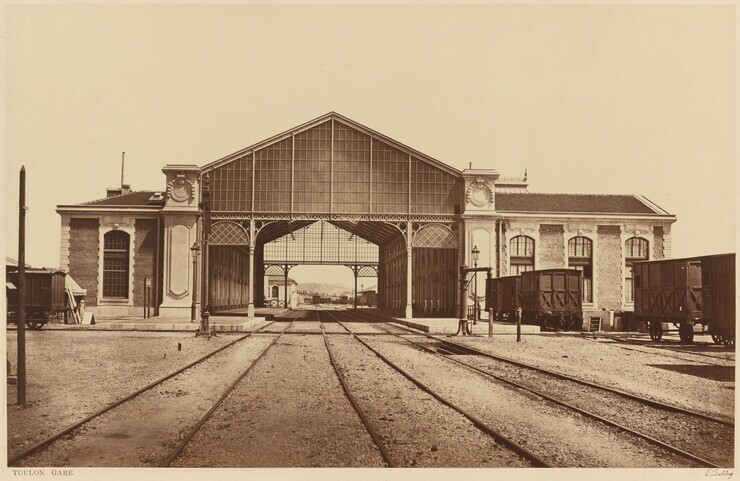 Though steeped in the sciences, Talbot understood the ability of his invention to make striking works of art. 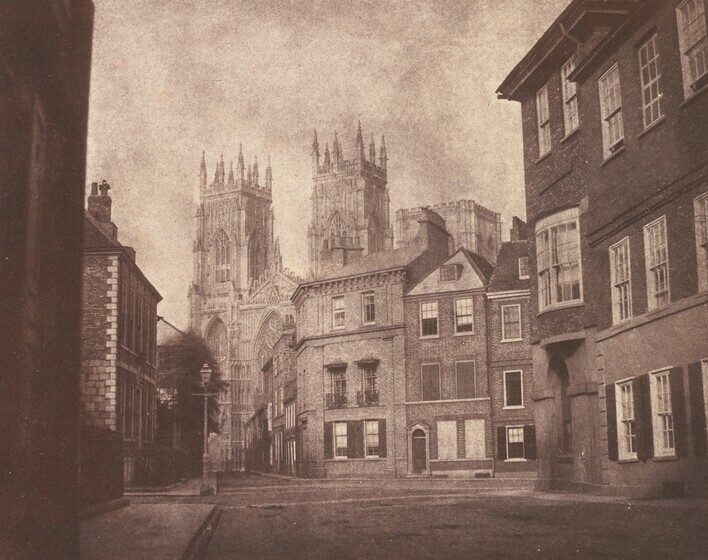 Here the partially obstructed view of the cathedral rising from the confines of the city gives a sense of discovery, of having just turned the corner and encountered this scene. 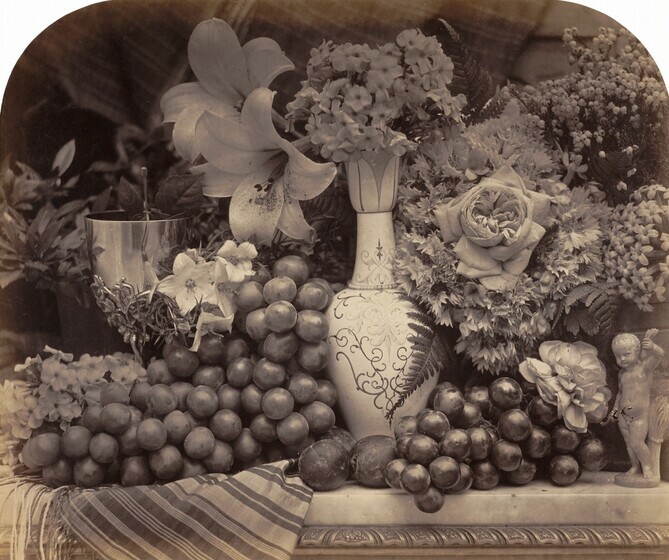 In the mid-1840s, the Scottish team of Hill, a painter, and Adamson, a photographer who had opened the first photography studio in Edinburgh, produced some of the finest pictures made with the newly invented medium. Theirs was a true partnership of technical skills and creativity. In the four brief years of their alliance before Adamson’s untimely death, they created some three thousand portraits and pictures of local life. 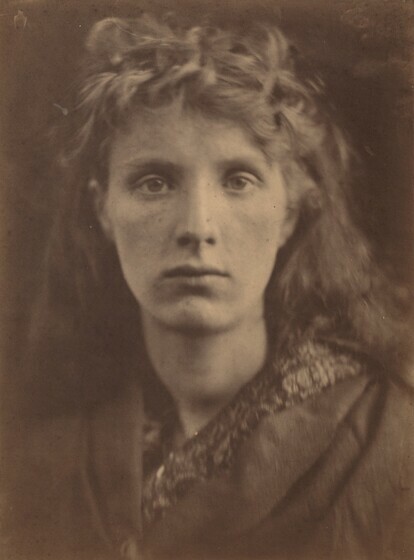 This picture of Hill, made at the entrance to his studio, is characteristic of the partners’ deft harnessing of light and shadow to model the subject’s face, suggesting a psychological intensity. Trained as a lawyer and painter, Fenton photographed for only eleven years, yet he was one of Britain’s most influential and skilled practitioners. 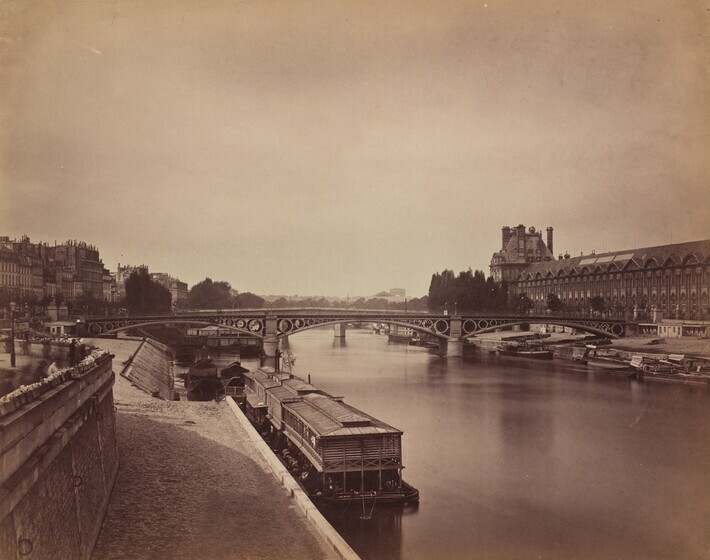 The first official photographer to the British Museum, he was also one of the founders of the Photographic Society, an organization he hoped would establish photography’s importance in modern life. 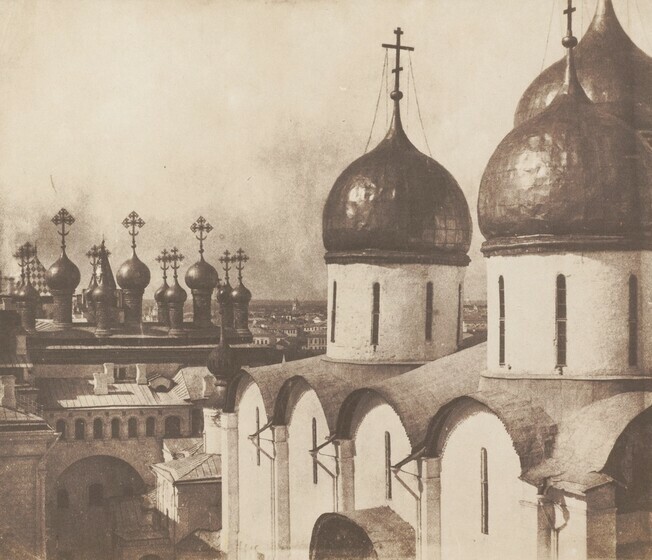 He constantly tested the limits of his practice, even hauling his cumbersome equipment abroad to places such as Russia, where he made this photograph as part of a remarkable series of architectural views of the Kremlin. 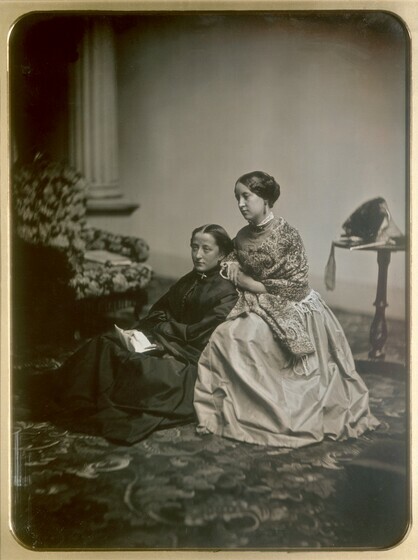 In mid-nineteenth-century Britain, upper-class women frequently created collages out of small, commercial portrait photographs of family and friends, cutting out heads and figures and pasting them onto paper that they then embellished with drawings and watercolor. Made decades before the twentieth-century avant-garde discovered the provocative allure of photocollage, these inventive, witty, and whimsical pictures undermined the standards of respectability seen in much studio portrait photography of the time. The westward expansion of America opened up new opportunities for photographers such as Watkins and William Bell (see the following slide). 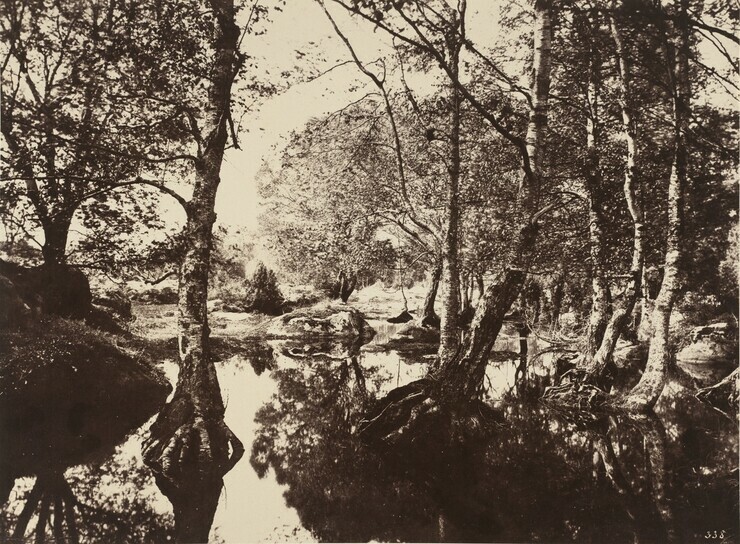 Joining government survey expeditions, hired by railroad companies, or catering to tourists and the growing demand for grand views of nature, they created photographic landscapes that reached a broad audience of scientists, businessmen, and engineers, as well as curious members of the middle class. 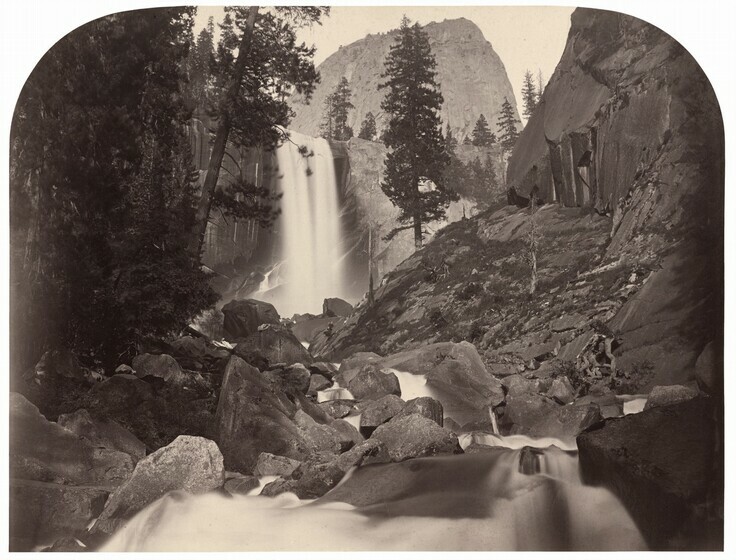 Watkins’s photographs of the sublime Yosemite Valley, which often recall landscape paintings of similar majestic subjects, helped convince Congress to pass a bill in 1864 protecting the area from development and commercial exploitation. Muybridge’s experiments in the 1880s revolutionized the understanding of movement and inspired scientists and artists alike. Using banks of cameras equipped with precisely triggered shutters, he captured sequences of pictures of people and animals moving and performing simple actions, such as climbing stairs or, as here, performing a head-spring. Showing small increments of movements, his work made visible what once was imperceptible to the human eye and laid the foundation for motion pictures.